Skeptical about kinesiology, or alternative medicine science? New scientific healing methods often can be rejected just because they are unfamiliar. That's why we must dig deeper than first impressions, so that we can come to an educated opinion. Without any understanding of a new concept, method, procedure, or technology, the rejection of something new can be a base, emotional, self-protection mechanism, without any logical component at all: a limbic, emotional resistance to any new idea that may challenge us to think outside of our own familiar world. Health: What Do You Want To Believe? Let's say you believe that because of genetics nobody can do anything to really improve their own core health, so surgery, radiation, or the use of pharmaceuticals, or maybe physical therapy are your only options for symptom control. If this is your belief, then you are a believer in modern industrialized medicine, along with its methods, and the enormous pharmaceutical marketing campaigns that cleverly and insidiously influence you to believe their perspective. However, if you believe that the human body has an innate potential to be well, then your belief system aligns with that of chiropractors and other licensed alternative medicine doctors; clinical practitioners who base their work on that initial premise of innate potential, and current, published science. Which one describes your core beliefs? You can't believe both. Not including the rare genetic diseases that have a proven genetic component, either you believe that you are a genetic product and your destiny has been sealed inside you since before you were born (known as genetic determinism), or you believe the opposite: that there are things outside of genetics, "epigenetics," that have major influences over the expression of health and function in our bodies, giving possibilities and potential for human healing, or conversely, for malfunction. Decide which one you want to believe, and acknowledge that you believe that way. It's either genetic determinism, as in chemical medicine, or epigenetics and potential, the foundation for licensed alternative medicine chiropractors. Either may be considered "scientific" so that's not a reason to rule-out one or the other. Excluding rare genetics, which idea describes your beliefs? Your opinions about what follows are based on this initial premise. However, if your opinion is already dogmatically positioned against alternative medicine (no matter what) and its various practitioners, (no matter what), licensed or not, you lump all “alternative medicine” into one category, and you have no interest in being intellectually honest about this subject, then this topic has already been a waste of time for you so far, and I really don't care what you believe in your gut, or what your uninformed emotional opinion may be. 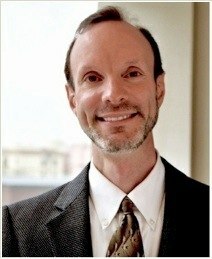 The following is for anyone who wants to understand, more–so than holding an uninformed, dogmatic bias and baseless, emotional rejection of a new, observational testing method; a holistic method that can be used by licensed doctors in alternative medicine clinics in Los Angeles (like ours). The scientific method teaches us that observation is the first step to understanding how something works. We can set up an experiment and observe the results from that experiment. Are they consistent and repeatable? Repeating that experiment, observing and recording the results is where we get our data. Gathering the data, we can come to some conclusion about the observations that we have just made. This is the scientific method. Do you have any disagreement so far? We conduct an experiment about an ability to perform a particular skill. In physiology, "motor" relates to muscular movement or the nerves activating the movement, so we decide to conduct a "motor ability test." We want to see if a seated person can hold their arm horizontally still (the position is 90 degrees upper extremity flexion) while gravity pulls on their arm. We test hundreds of people and observe that 99.8% of people in this study can hold their arm still against only the constant force of gravity. Is there any fault with this simple experiment and observation? Now we set up another experiment of motor ability. This time the subject (the person being tested) is lying supine (on his or her back), holding their arm vertically (still at 90 degrees flexion), in the air. In this experiment, the torso position is different, and the effect of gravity is negligible against their vertical arm. We observe that 99.9% of people can hold their arm still in this position. Is there anything wrong with the modified experiment, or our observation here? No. Going further, of the people who have the previous motor ability, we decide to introduce a very slight, and slowly varying horizontal force to the person's vertically held arm. We always start from the same position with the same line of force being applied each time (± a small margin). Please note: sufficient training and skill are necessary for the examining doctor (scientific kinesiologist) to perform these tests properly and to interpret the test results reliably. This cannot be emphasized enough! We instruct the subject to hold their arm still against that minor force (a motor skill). Once we know that each person understands their only goal in each test, we commence with our clinical examination and repeat the test to establish consistency. In this clinical application of kinesiology (applied kinesiology: a clinical application of the study of movement), we are testing for the motor performance of a motor skill. Now, we observe that 80% of people can consistently hold their arm still against this mild push to their arm. Furthermore, we observe that within the 20% who are unable to hold their arm still, there are three distinct arm movement patterns elicited, during failed performance. So far, we have set up an experiment, made clinical observations, and recorded the data. If you are already getting a repulsive gut feeling, please acknowledge that your feeling has nothing to do with science or logic. It is merely an emotional response to a set of circumstances that are unfamiliar to you. For some non-logical reason, this situation might threaten your current beliefs, so you naturally reject the idea that this can be useful. Along the continuum through these experiments, just note if you start to feel like you want to flee or fight. Then you can (at least) understand what part of this methodology brings about this gut response in your body. By now we've observed thousands of people with their arm up in the air. Failed performance of the motor skill showed one of the three movement patterns. The other 80% performed the task easily; holding their arm still. We also observed in the 80% group, that by changing one thing about each experiment, the observed reaction could also change. In science that one thing we changed would be considered the "variable." The key is that only one variable was changed in thousands of experiments, and where the observed reactions had changed, those changed reactions were either of the three distinct movement patterns that we had observed in the initial stages of this experiment. Conclusion: the test subject was either able to hold their arm still, or, in motor performance failure, there were one of three distinct patterns of movement observed. Sometimes the movement was subtle, sometimes obvious, but each time within just three types. Something of clinical interest was placed on the subject's body (of consistent size and weight). Skeptic check: ask yourself, again, if you are getting that gut feeling mentioned above. If you are, ask yourself if you can logically describe why you are feeling this emotion. Do you object to the variables of the experiment? Why? If something stirs your emotions so far, it is not about a scientific experiment or its variables. If the scientific method itself is your issue, then maybe you should just stop reading this now. If you are feeling this way now, and you can't pinpoint why, it will likely become less clear and worse as you continue. However, if this is not challenging your emotions, and to you the process we are going through is apparent as logical and scientific, let's move forward. By now, thousands of people have been through these clinical trials and the reactions to the variables observed. When looking back at the data and tracking the health of the participants (known as a longitudinal study), a particular pattern becomes very evident: The part of the body, when touched, that correlated with an altered response, inevitably showed as a problem area for the individual, in 85% of cases, up to 13 years after the initial testing was done. To gain knowledge from all the data compiled from these experiments, we draw an observational conclusion: A person, lying supine with their arm vertically raised at 90 degrees is able to hold their arm still against a minimal, varying horizontal force. However, touching a specific part of their body, or putting a specific item on their body may change their original response to the test. Their timing of muscle activation changes. When this happens there must be a logical explanation. We have observed a changed response that is consistent and repeatable, and we must ask, "Why?" Skeptic watch: If you believe that there cannot be a logical explanation and that this is not a scientific endeavor, then you can stop reading now, but first, ask yourself why you are so against this scientific process. Your reasons tell more about your own beliefs, fears, and your own personal history than anything about this study. If you don't have this issue, great. Let's continue. There are two logical choices for what these results could mean: 1. the function related to the region of the body that was touched was under some kind of stress, or was sub-optimally functioning, and it required further investigation at that time to prevent disease development involving that body region, or 2. by touching that part of the body while performing that particular test, some subtle stress was set in motion that led to a disease process there. We used inductive reasoning, the inference of general laws from particular instances, to come to these two possible conclusions. Now let's look at these two possible conclusions and see which one makes sense. Considering option 2 (above): Can just touching a body region cause that part of the body to have dysfunction at a later date? No. From our own life experiences we already know this concept is false. A non forceful touch to any body region has never been observed to do this kind of thing. This idea makes no sense at all, so lets explore the other logical option. In an optimally functioning body, a sensory stimulus from touching a point on the body, would not be any threat at all. OK. But wherever physiological functioning is already challenged in some way and to some degree, the body may subtly express that challenge before any disease is detectable in that area; i.e., before disease is detected with conventional investigations such as x-ray or blood tests. In other words, the normal stimulus to the subject's sensory nervous system may now be interpreted through the subject's body and brain as a threat. "Don't touch me there!" Why? Because that particular body part is already affected by either physical stress, chemical stress, or emotional stress, and if prodded with a subtle stress could exhibit a subtle stress response. Does this occur anywhere else in nature? Here the answer is yes. 1. After heavy lifting, you strain your back. Then, someone bumps into your back by accident. Normally, you wouldn't care, but after all that lifting it really hurt to just get bumped. 2. you were just cleaning your bathroom with chlorine cleansers and later that day you walk through a market where someone spilled ammonia. It gives you an immediate headache, but that kind of exposure at a market wouldn't normally give you migraine headaches. Example 3. You had just heard some upsetting news, and then on TV you saw an overdone news story that really felt upsetting to you. These are examples of similar reactions in our experience of life. There is a sensitivity from either physical, chemical or emotional stress, and when that stress gets challenged again or triggered, there is a changed reaction; different than your normal reaction. Finally, the example of a person who was chronically exposed to environmental toxins and started to develop a disease, detectable over 10 years later, that correlates to that chronic exposure; such as lung cancer. Likewise, in our testing model, consistent patterns emerge when we collect data regarding the variable single substance of clinical interest that was placed on, or immediately adjacent to (touching) the subject's body. The idea to use these items of clinical interest arose from knowing their properties and correlating these properties with the regional anatomy and physiology of the original point that elicited a failed motor ability test (a stressed pattern of movement). We find that when the placing of an edible item was related to a restored motor ability (a positive change) in the test result (motor ability) associated with a particular point on the subject's body, the subject who consumed that item of clinical interest on a regular basis, showed one form of improvement or another regarding their present condition that was not yet labeled as a disease (e.g., indigestion). In other words, the consistent findings show that there were certain items of interest that were associated with improvement in the health of the subject. In a scientific setting where only one variable is changed in any particular clinical trial, we observe a consistent pattern with thousands of people as the subjects (the individuals being tested). Furthermore, changing one variable at a time, one after another in sequential order on any individual subject, observing and logically interpreting the data, we can get even more information about the fundamental functioning of the subject's body at that time (the big picture). but we can use it to help you. Conclusion: we started with a simple scientifically based clinical trial, scientific observation, a collection of data, a clear pattern that emerged from the data and an interpretation of that data, which we use to reach a conclusion of how to use the original data for our own benefit. The benefit will be the improved level of health and function from taking appropriate action. This appropriate action would be considered a proactive application of the scientific method. for a doctor to find the causes, and make the corrections. Now that we've taken you through the scientific process of applied kinesiology testing, a method for showing kinesiology is scientifically proven, you can understand why skeptics who bash this holistic healing method simply have an unqualified opinion. Some people would rather die than be helped by something that challenges their emotional beliefs. I hope you choose life. request your appointment, today: call us, or click the Contact Us button, below.